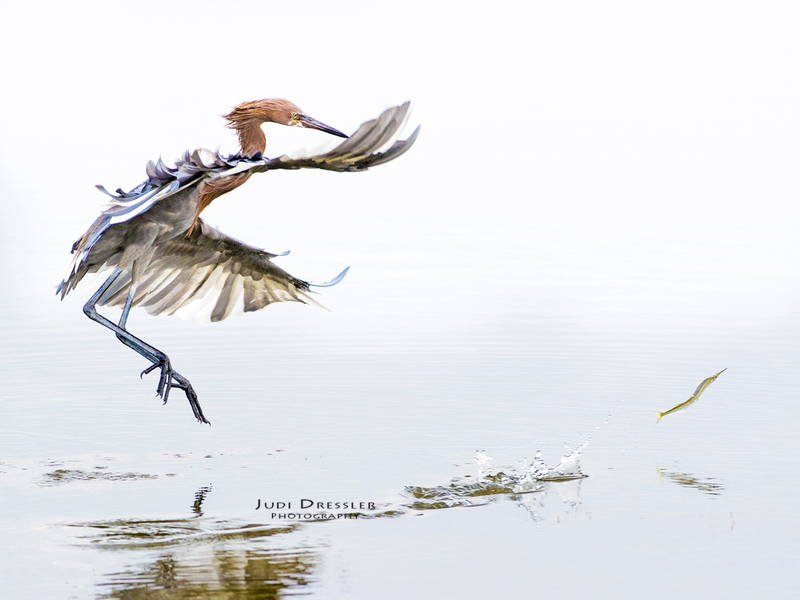 It was an overcast, dark morning, but that didn’t stop this Reddish Egret from wanting his breakfast. This needlefish was giving the egret a good chase, as it jumped over the water, causing the egret to also jump and almost fly, trying to catch it. The fish got away, but it was a good show! Note the wings, which include both white and grey feathers. I believe this bird is a hybrid mix from a white morph reddish egret parent as well as a dark morph reddish egret parent.